Matthew is a Senior Associate in the Transaction Services practice at PricewaterhouseCoopers (PwC) where he supports clients to solve complex reporting requirements arising as a result of deals or other transformational events. Generally, Matthew specializes in transactions involving Divestitures and/or Business Combinations. Matthew is a licensed CPA in both Florida and Georgia. Additionally, Matthew is a candidate in the Chartered Financial Analyst program and has completed the Level 1 and Level 2 examinations achieving a score above the 90th percentile on both sections. Matthew received a B.S. from the University of Central Florida (UCF) with a double major in Accounting and Finance. 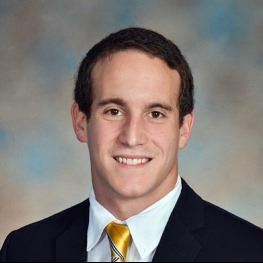 During his time there Matthew was elected to two consecutive terms to serve in the Student Government Association Senate as a representative of the College of Business. Also while at UCF, Matthew served as the treasurer of a Not-for-Profit Organization.